This bike is the right balance of power and agility on the road. Alpan is a mountain bike with 27.5 inch wheels, the last frontier of the universe of off-road bicycles, which simultaneously maintains all advantages of 26 inch wheels (such as speed and lightness) and the stability and security of 29 inch wheels. Pedal to actuate the motor with two options to regulate speed; pedal alone or pedal with throttle for maximum speed potential. 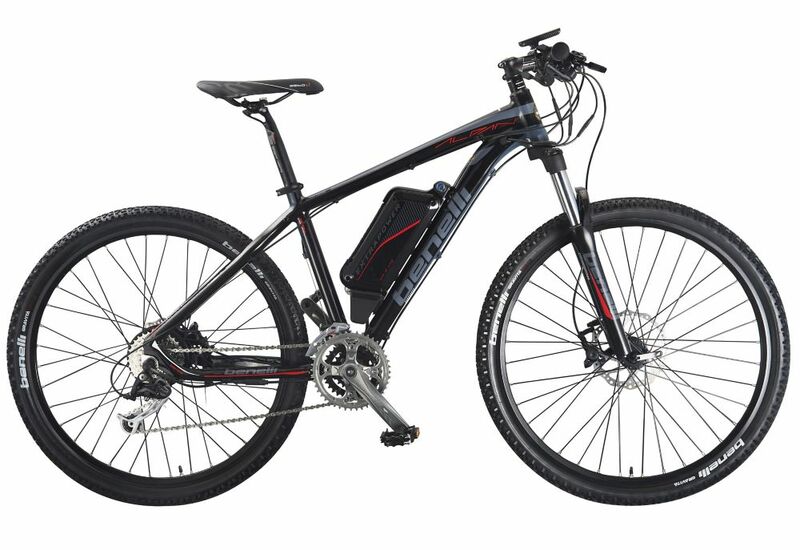 Alpan Mountain Black Electric Bike This bike is the right balance of power and agility on the road. Alpan is a mountain bike with 27.5 inch wheels, the last frontier of the universe of off-road bicycles, which simultaneously maintains all advantages of 26 inch wheels (such as speed and lightness) and the stability and security of 29 inch wheels. Pedal to actuate the motor with two options to regulate speed; pedal alone or pedal with throttle for maximum speed potential.